In the hotel industry, design and aesthetics are so extremely important. No matter who walks into your hotel, you want to make sure that they are left with a positive impression. For this reason, it’s crucial to pay attention to the interior and interior design of your hotel. By making your hotel look beautiful and visually appealing to guests, you increase your chances of attracting tourists and making your hotel look like a desirable place to host office parties, weddings, and gatherings. All of this translates into money in your pocket. Installing decorative window film is a great way to boost the aesthetic appearance of your hotel while also improving the functionality and overall flow and feeling of various rooms. Why Decorative Window Film for Hotels? 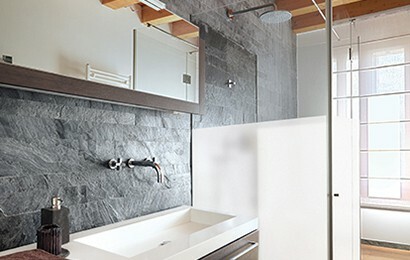 The great thing about decorative window film is that it’s so versatile and easy to work with. There are hundreds of different styles, including different frosted, textured, and patterned prints and it can be found in virtually any color imaginable. And installing it is so easy! You don’t have to go through endless work measuring your windows or buildings since a window tinting company will do that for you. 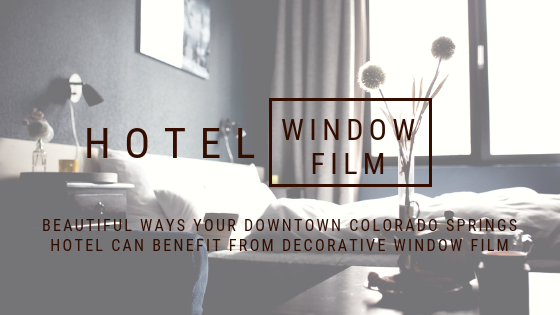 Whether your hotel matches the aesthetic of buildings located in the older area of downtown in Old Colorado City or Old North End or the architectural style of the Broadmoor area is more your pace, you’re sure to be able to find a decorative window film option that’s perfect for your needs. Not sure which decorative window film option is right for your Colorado Springs hotel? Schedule a consultation today and we’ll help you explore all the different options and styles available to you!